NHL News : NHL officials make a terrible call and rob Pettersson of the rookie record! 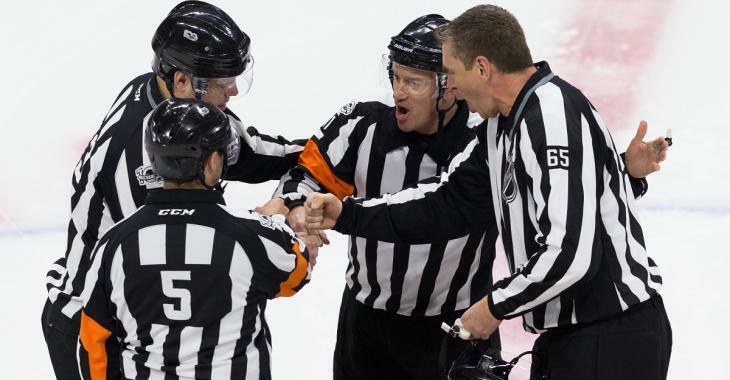 NHL officials make a terrible call and rob Pettersson of the rookie record! There is going to be plenty of outrage over this call and I would be surprised if the National Hockey League did not at least address this in some way. On Sunday night the Vancouver Canucks were facing off against the Dallas Stars and as it would turn out it was a very big night for Vancouver Canucks rookie superstar Elias Pettersson, or at the very least it should have been. Coming into the game Pettersson was dangerously close to tying a Canucks franchise record for most points by a player in his rookie season, a record that is currently held by Cazech hockey legend Ivan Hlinka and National Hockey League legend Pavel Bure. Pettersson would in fact accomplish the feat when he assisted on the Canucks' second goal of the night, a goal that was scored by Canucks forward Tim Schaller which also happened to be his second goal on the evening and his second as a Canuck. That was good enough for Pettersson's 60th point of the 2018 - 2019 National Hockey League regular season, his rookie year, and it placed him in some truly elite company. It also meant however that there was plenty of time left on the clock remaining for him to actually surpass that mark and claim sole possession of the record for himself. It even seemed like during the early moments of the game's second period that Pettersson had in fact accomplished that goal and captured the Canucks franchise record for most points by a rookie player in Canucks history. Pettersson was awarded a penalty shot after just under 5 minutes had passed in the second frame and it seemed like he had picked up his 61st point as a rookie. Now to be clear Pettersson did not actually beat Dallas Stars' backup goaltender Anton Khudobin on the penalty shot, in fact you could argue that he never even got a shot off at all, but nonetheless he should have been awarded an automatic goal. You see Khudobin went for an aggressive poke check on the play and in the process either lost control of his stick, or threw it in the direction of Pettersson to stop the play. Under NHL rule this is an automatic goal, but apparently the NHL officials on the ice this evening were not aware of that particularly feature of the NHL rule book. Not only was it a bad call, but it robbed a young man of his much deserved place in hockey history. And the NHL officials were at it again tonight with another missed call that may have major playoff implications.